Liberia, is a country in West Africa. With area of 111,369 km² and is home to about 4 million people. Liberia is another African country there Local presence is needed. Without trademark usable. To get an Liberian domain name we need to wait aprox 14 days. 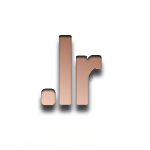 We can register a name with 1 to 63 characters and we can own unlimited amount of Liberian domains.